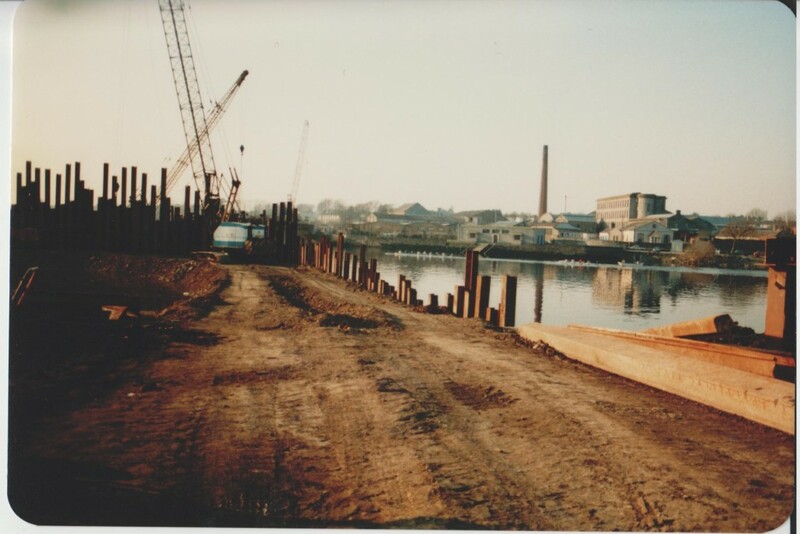 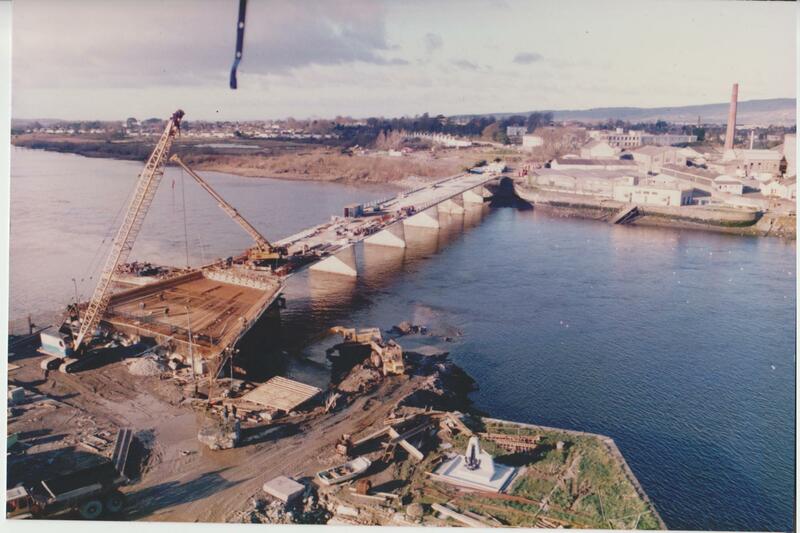 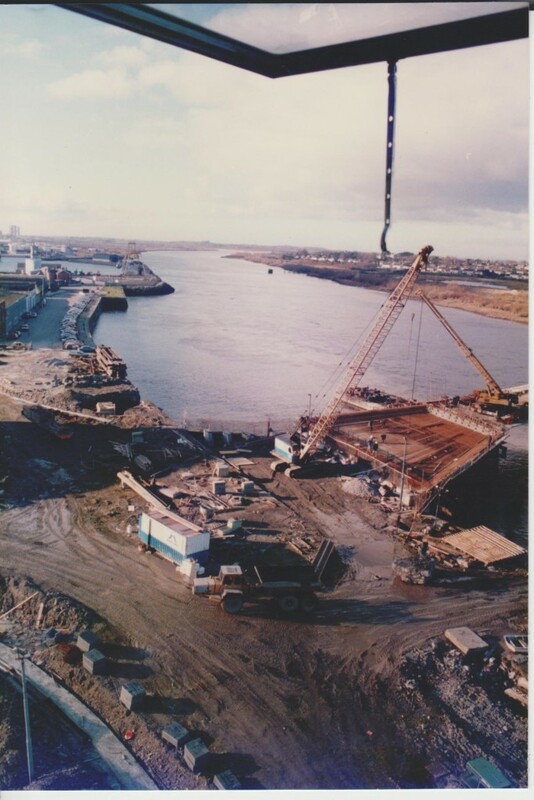 These images of the construction of Shannon Bridge were kindly donated to Limerick’s Life by Ray O’Brien. 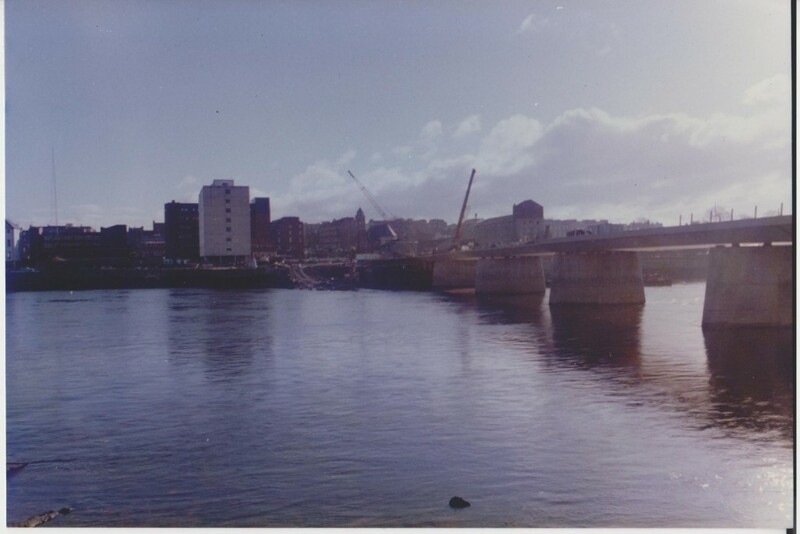 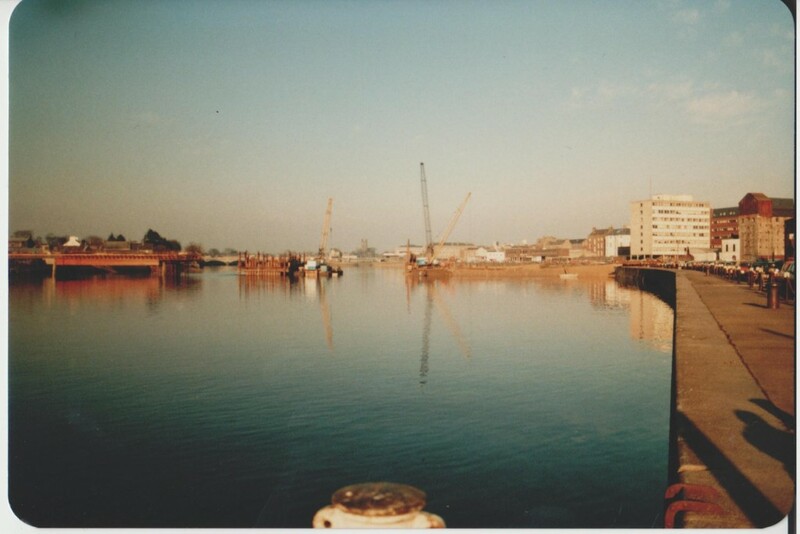 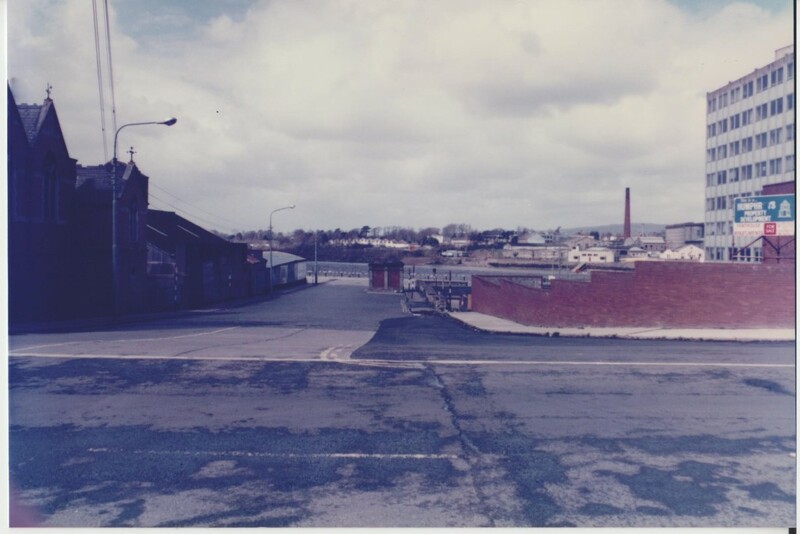 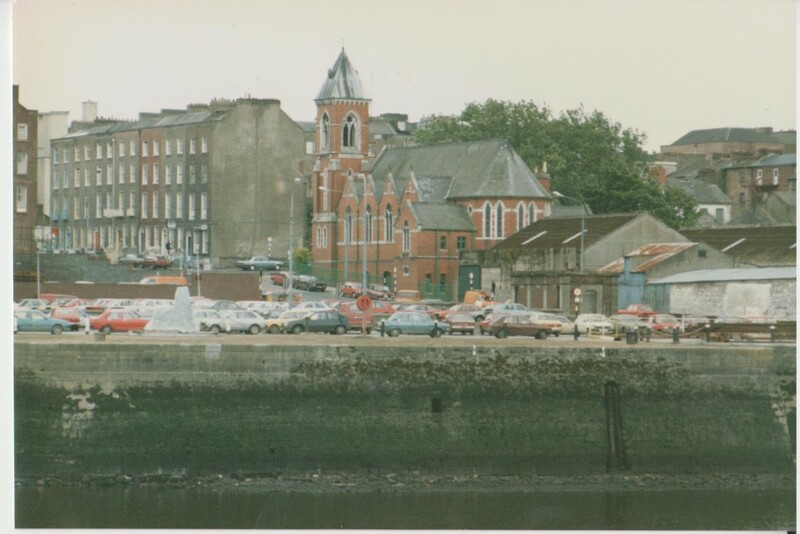 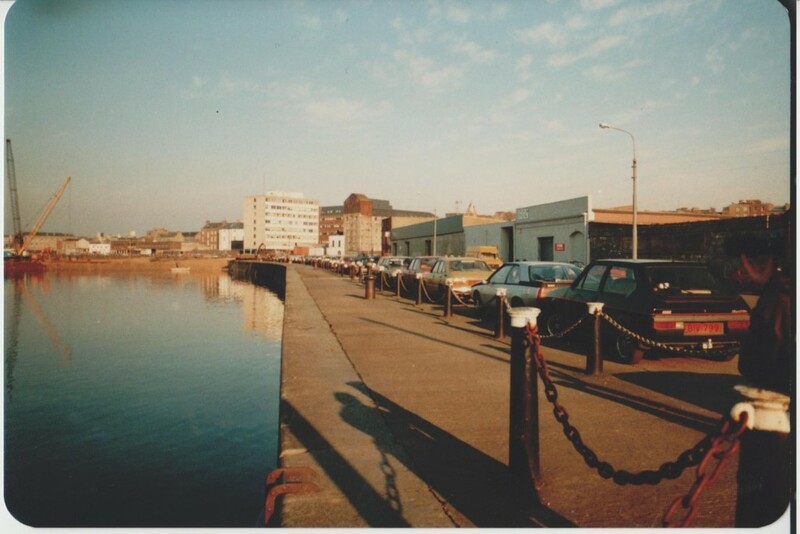 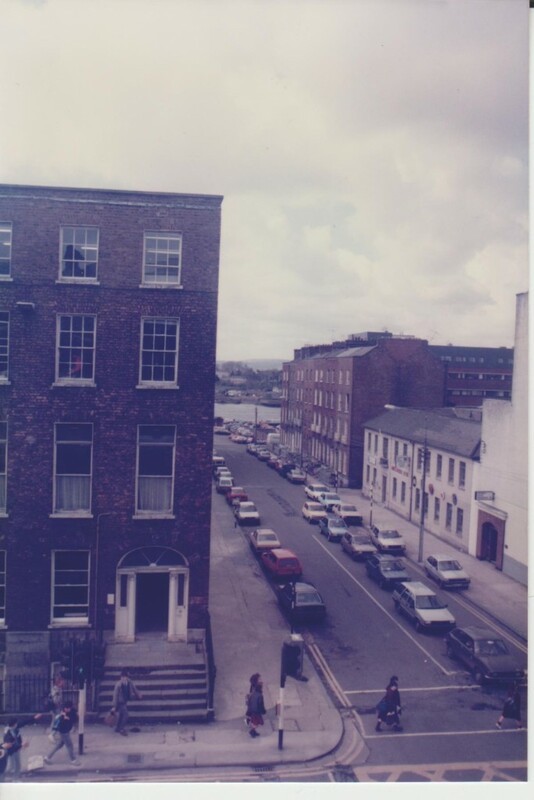 They were taken in 1986 and 1987 from various locations including the penthouse of St. Munchin’s House, which was demolished to make way for RiverPoint. 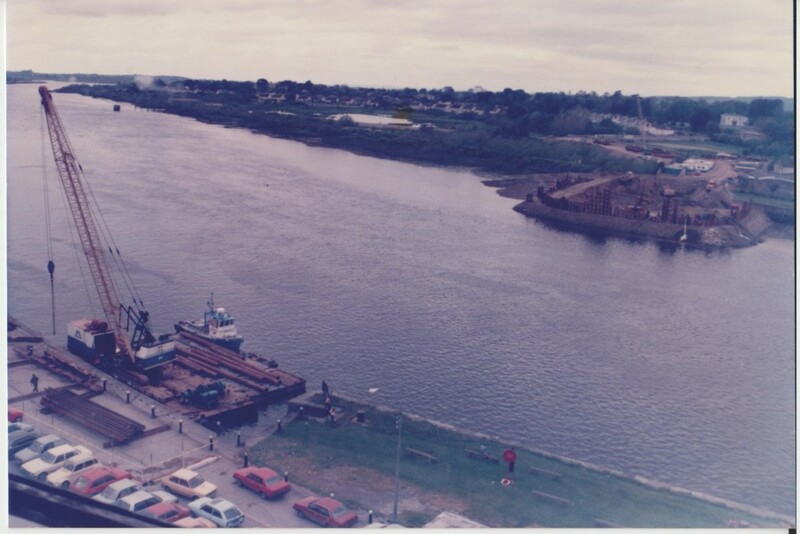 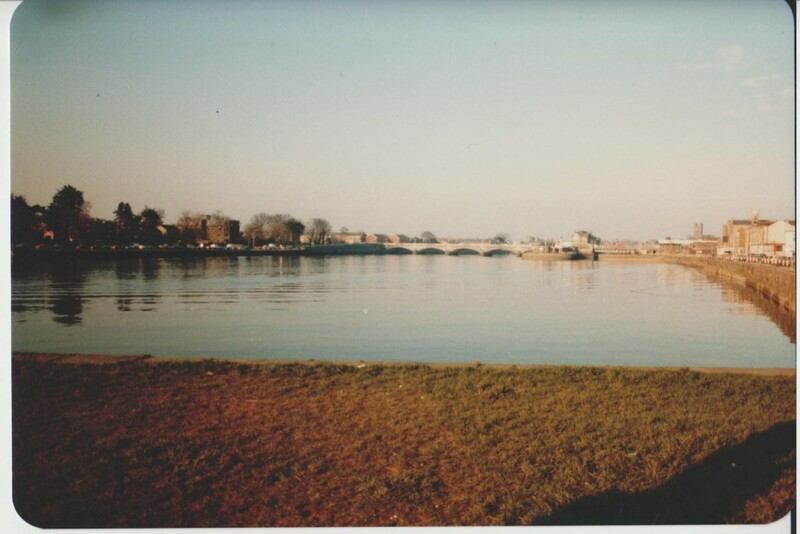 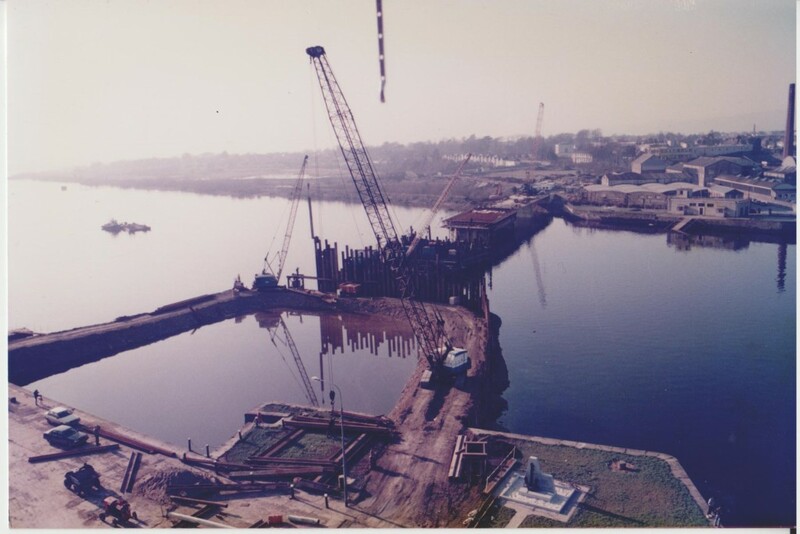 Calls for a new bridge on the Shannon began in earnest 1974, it took over ten years of debate between the Limerick Corporation and Government before the foundation stone was laid by the then Minister for the Environment John Boland in 1986. 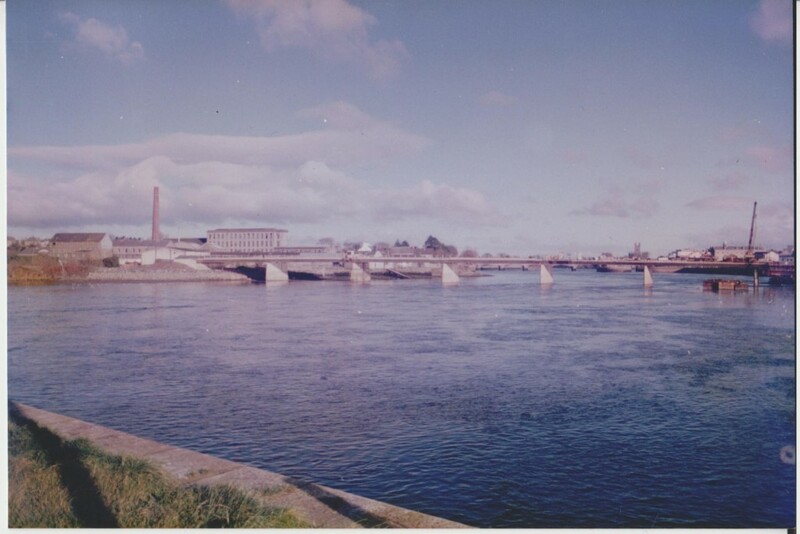 The Shannon Bridge was opened on 30 May 1988. 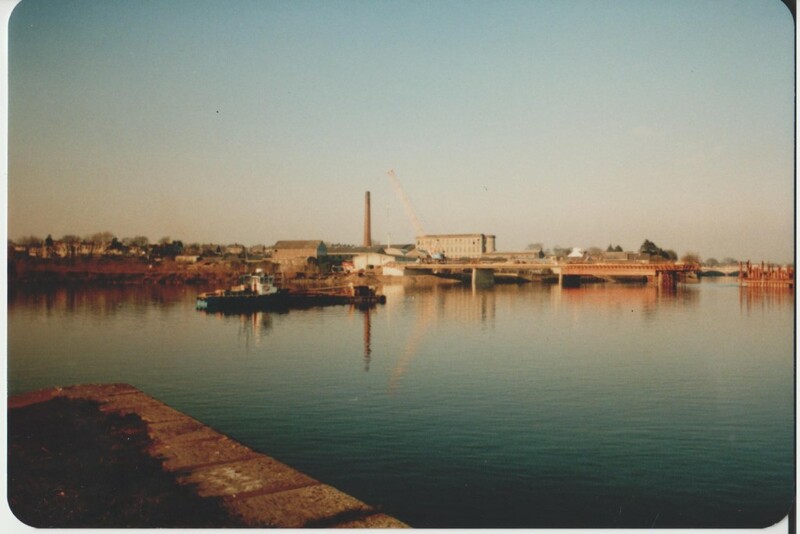 Soon after it finished it was noticed that when the wind hit the supports it caused a shrill sound which caused the bridge to be known locally as “The Whistling Bridge”. 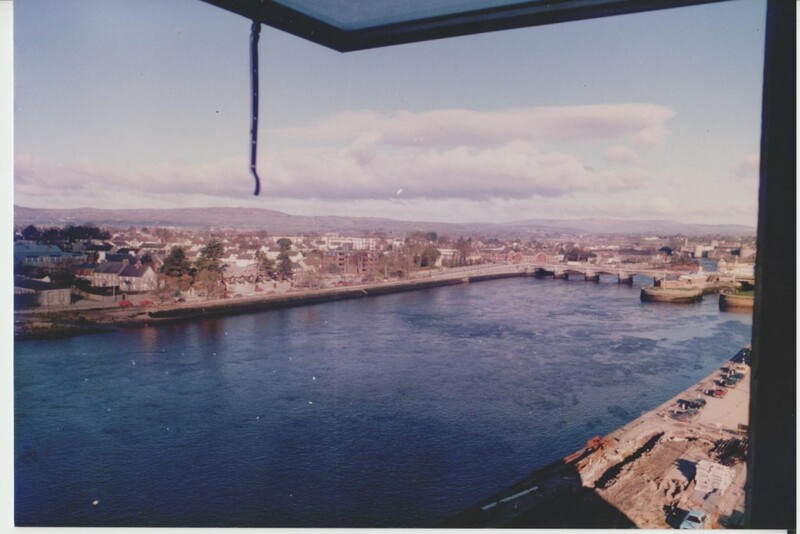 This was quickly rectified but the name stuck for a number of years. 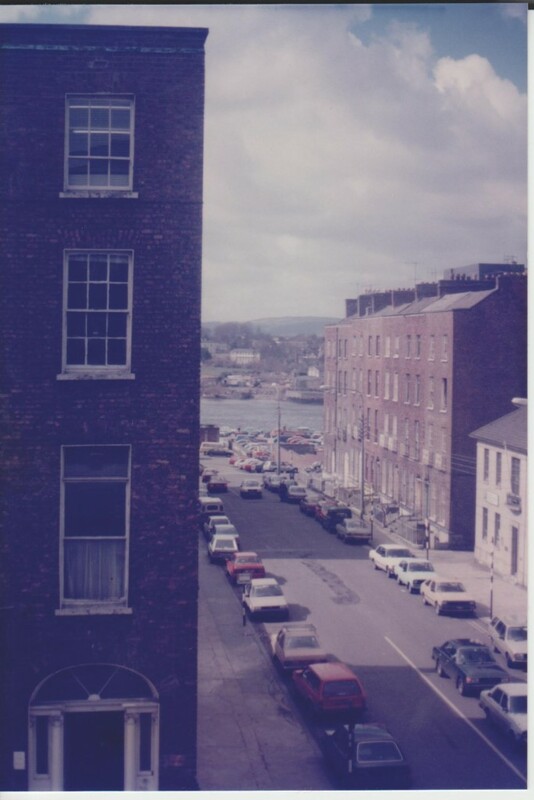 View from penthouse of St. Munchin’s House, demolished to make way for RiverPoint.